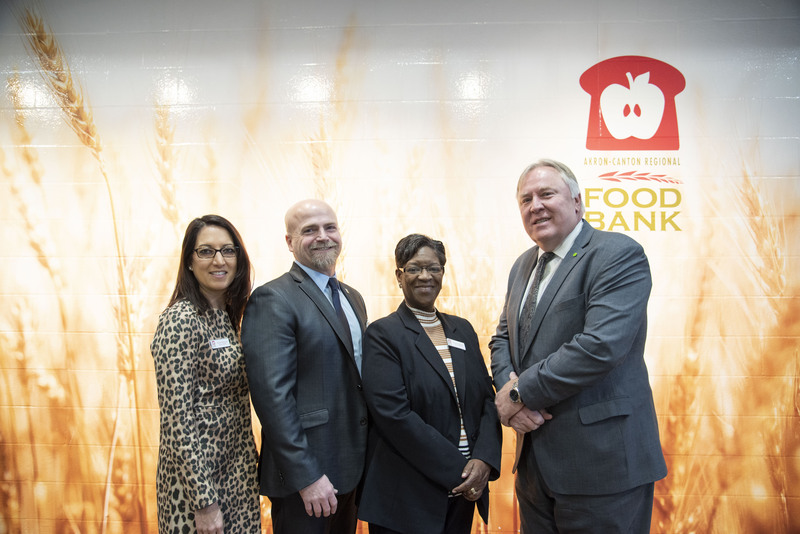 The Akron-Canton Regional Foodbank announced the addition of three new members to its 2019 Board of Directors: Judge Alison Breaux, Jerod Cherry and Kristin Hannon. Judge Alison Breaux joined the Summit County Court of Common Pleas when she was elected to a full term in January 2017. Prior to her election, Breaux served as a civil magistrate with the Akron Municipal Court for five years. She has served on several boards, including the St. Vincent Parents Association and Life Is Good No Matter What cancer charity. She is also a member of the Daughters of the American Revolution, Akron Bar Association, Scanlon Inn of Court and Westminster Presbyterian Church. Breaux has been married since 2000 and she and her husband have three children. Jerod Cherry has been a radio talk show host for ESPN 850 WKNR in Cleveland since 2009. He is also a game-day pregame host for the Cleveland Browns radio network. Cherry, a football player in the NFL from 1996 - 2004, won three Super Bowls with the New England Patriots. He has supported the Foodbank’s Taste of the Pro Football Hall of Fame and has been an avid volunteer with the Foodbank, sorting and repacking food 2-3 times per month for nearly two years. Kristin Hannon currently serves as an HR manager with Spectrum. Prior to joining Spectrum, she was the director of human resources at the University of Mount Union and also spent six years at Stark State College. Hannon began her career at Nationwide Insurance where she worked for 23 years. She is a graduate of the 30th Class of Leadership Stark County and is extremely active in her community, including serving on the boards of Stark Tuscarawas Workforce Development, ArtsinStark and the Stark County Human Resources Association.